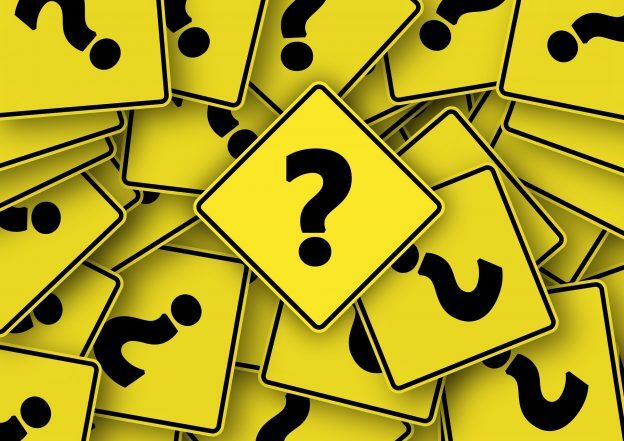 PDQ-Evidence (Pretty darn quick) does as its name suggests when it comes to evidence for public health, health systems, and health policy and governance. PDQ-Evidence is a project of the Norwegian Satellite of the Cochrane Effective Practice and Organisation of Care Group. 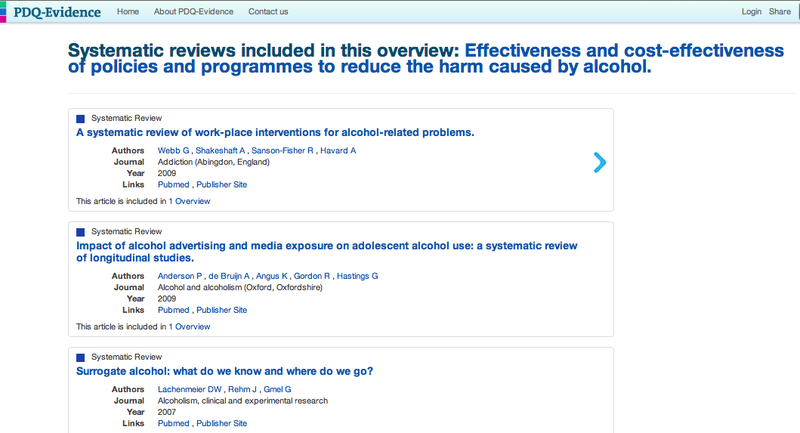 One of its more useful features is linking together systematic reviews, summaries, and the articles included in them – this way of navigating (see screengrabs below) allows you to see different systematic reviews including the same primary paper, and easily find evidence included within a review (though that not within an included review isn’t included in this database). I personally find this feature really useful for finding lots of information e.g. systematic reviews on the same topic, and also being able to take a bird’s eye view of the evidence with an overview of systematic reviews, but being able to easily find individual trial data. This is really this database’s main feature that distinguishes it from others. The database is also fairly choosy about what it includes; on its about page it details the inclusion criteria for each type of document. This just shows the basic search page which is fairly standard, with some colour coding based on article type which is quite nice, as well as the option to look at linked studies and reviews from this menu, which you can also do from the result page (see below). 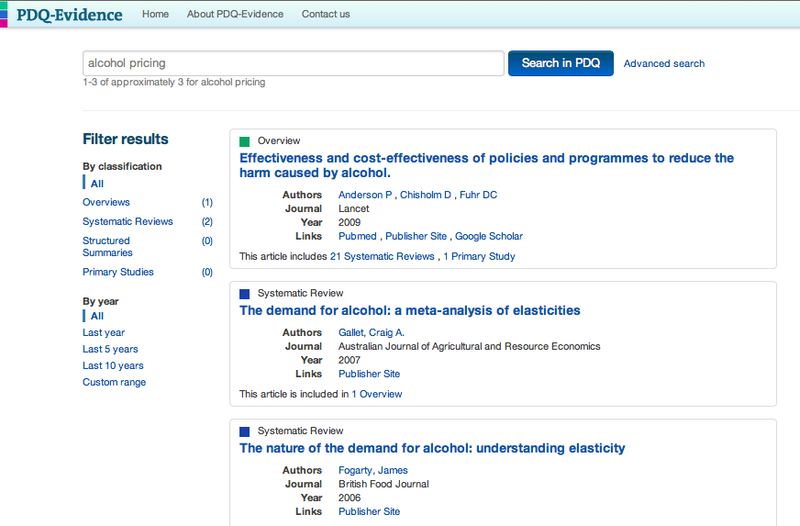 The large coloured buttons on the right hand side are PDQ-evidence’s main unique feature – the ability to navigate between linked articles at different tiers of evidence from primary papers to overviews. Overall, this is a nice database to use and easy to navigate – but it only focuses on public health and policy evidence. 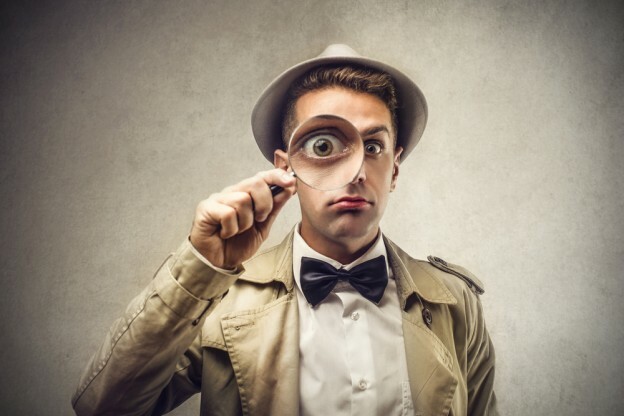 If you are looking for evidence in this field then it’s a great resource to use as you may find what you are looking for much faster than a more general database.